What is the rate for group headshots? No one business is alike. Because every business has different needs we individually quote each group base on number of employees, location of the shoot, the number of images and other factors. Do we receive digital files of our images? Typically we deliver digital files to our clients. Because your images can be used for so many uses we find our commercial clients need the images in a high resolution digital format. If you need prints for your office or other uses we can provided them to you as well. Do we come to your studio or do you come to our business for the shoot? We have some clients who will schedule different blocks of time for their employees to come to the studio. An example would be we have the owners tell the employees they have between 2pm to 4pm Monday and 9am to 11am on Tuesday to come to the studio. That way we can accommodate everyones work schedules. We have some clients who need us, due to the size of the company and time, to come on site and shoot their session. For those clients we bring lights, backdrops and any other gears we need to make sure the images we shoot on locations are just as amazing as the ones we shoot in our studio. What should we wear for our group images? When taking group images it's important to show continuity and consistency throughout the images. Not only should the lighting and the posing be consistent, but clothes everyone wears for the shoot should be too. Your clothing sends a definite message about the type of business you are. If you are suit and tie type of company, like a law firm or insurance agency, then it is important to wear nice professional clothes. If you are a company, like UPS, who's uniforms are part of your branding, then your images should be of people in those brown uniforms. If you are a company with many facets like doctor's office, then you might want a variety of looks. You might want the nurses with one look, the office people with another and the doctors with their own look. If you are having trouble deciding on your look we can help you. Do you have to do the editing or can we have someone else edit our images? It is no problem if you have an in-house editor or a marketing company who does your editing and you would like us to just provide you the RAW images. 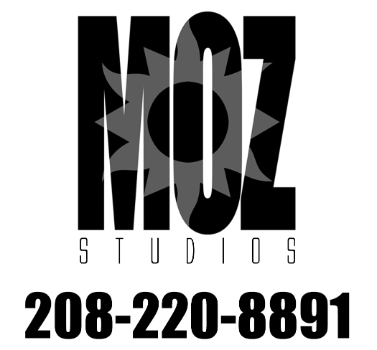 Our preferred method is an in person view session at our studio. We understand this is not alway practical with large groups or out of area clients. For clients who can not make it to the studio we send an online proof gallery to make your choices from. If someone is missing for the shoot or we have new employees and we shoot them at a different time, will their images match the other images? If we shoot your session indoors using artificial light then YES we would be able to re-create the lighting and feel from the first shoot. If we are shooting your images outside there is no way to guarantee we could re-create the same images. The reason is the lighting conditions will never be the same or will the look of the location.